The Albany-Colonie Yankees were opening the 1992 playoffs against Canton-Akron and Albany pitching coach Dave Jorn sized up the opposing hitters to The Schenectady Daily Gazette. Among those opposing hitters was outfielder Tracy Sanders. "They've got a little bit of team speed, three good left-handed hitters and Sanders is a big threat," Jorn told The Daily Gazette. Sanders was in his third season as a pro that year. He went on to be a threat in a total of 11 seasons. He never ended up being threat enough to make the majors. 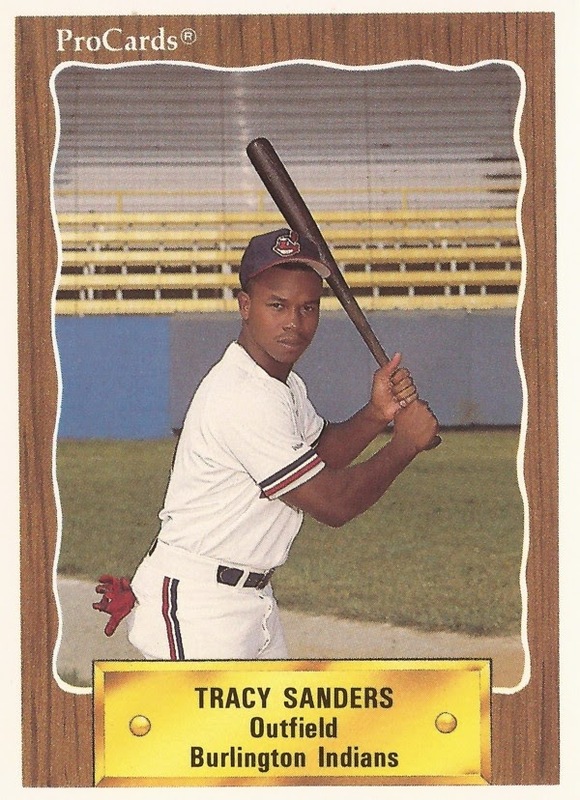 Sanders' career began in 1990, taken by the Indians in the 58th round of the draft out of Limestone College in South Carolina. Sanders played his first season between rookie Burlington and high-A Kinston. He hit .305 over 61 games. He picked up three hits in an August Kinston win. He played at Kinston full-time in 1991, hitting .266. He had a game-winner in July with a bases-loaded walk. He had a 15th-inning game-winner in May on a home run. Sanders made AA Canton-Akron for 1992. He hit .241, but he had 21 home runs. Sanders moved to the Padres and AA Wichita in mid-1993. He then played at AA Binghamton with the Mets in 1994. Sanders' first time at AAA came in 1995 at AAA Norfolk for the Mets. He hit .227 in 64 games. He played the next three seasons at AA with the Rangers and Pirates. In 1999, Sanders moved overseas. He played in Korea for Haitai, hitting 40 home runs and ending with a .247 batting average. Sanders returned stateside for 2000. He played between high-A, AA and AAA in the Pirates system. It was his final season as a pro.